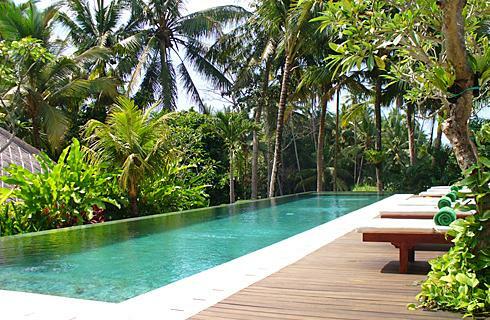 Far from the bustle of daily Balinese life, Villa 3152 is situated on the edge of a small, quiet Balinese village. It is located near Mas Village; which is known as the wood carving village, as well as Sukawati the art market and Celuk Village, where you can find smithied items of gold and silver. 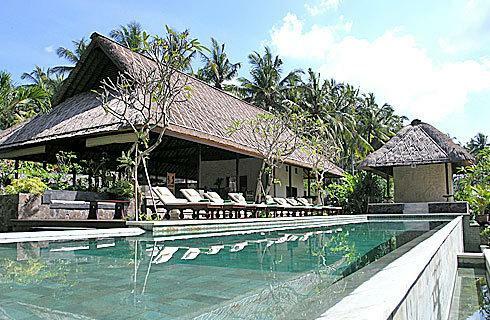 Villa 3152 is a ten minute drive from the center of Ubud and only a forty-five minute drive from Ngurah Rai International Airport. The residence is bathed in natural light while protecting the privacy of our residents - it is both magical and unforgettable. 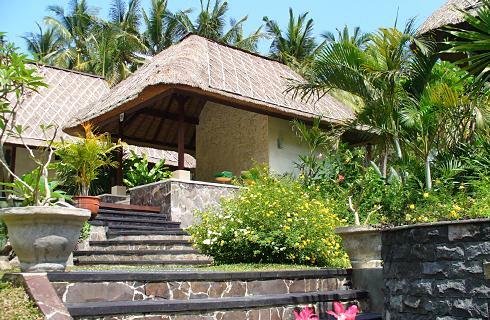 The villa consists of five spacious bedroom suites located in three pavilions which sleep a total of ten guests in perfect comfort. 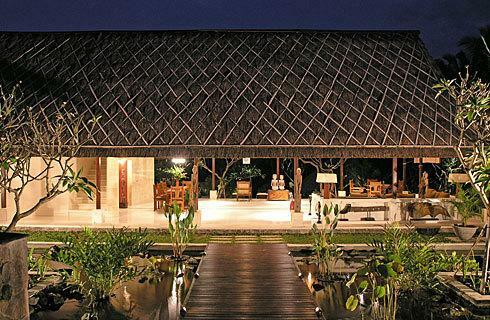 The main pavilion is the Living and Dining Pavilion , connected to the kitchen on the side of the property by a soaring “alang alang” (thatched) roof and carefully landscaped terrazzo and walkways from special stepping stones (pebble washed) to the three suite pavilions – the Master Pavilion, the Temple Pavilion and the Ricefield Pavilion. 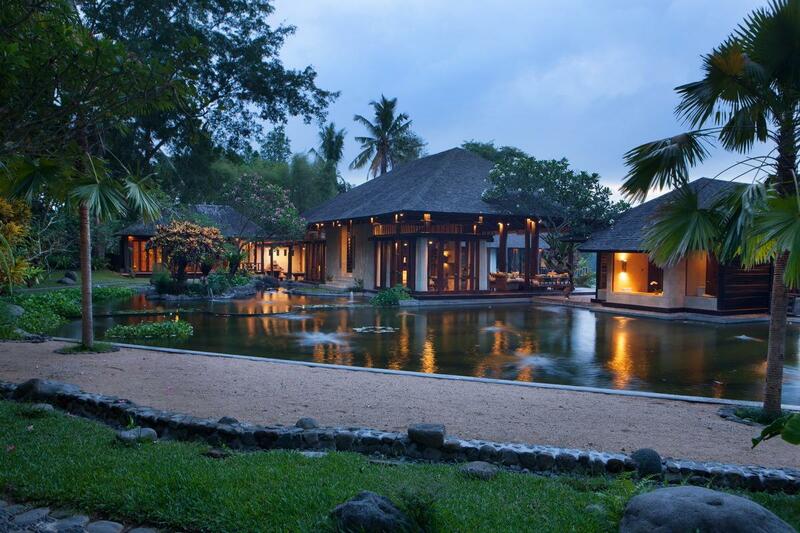 Each pavilion offers panoramic views to the verdant rice fields, waterfall and river. 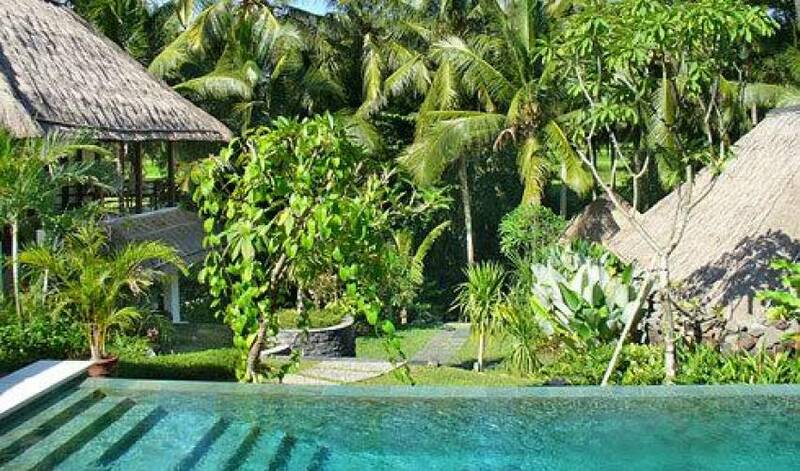 A fully equipped kitchen staffed with Balinese chefs able to prepare both local and international cuisine will ensure that your dietary requirements are met and exceeded. 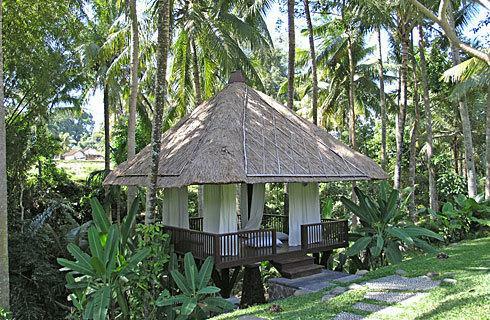 This is a two-storey pavilion located at the top-end of the property and contains a bedroom suite on each floor, identical in size. The spacious ground floor bedroom has a creamy terrazzo floor and is decorated with Antique Chinese pottery from Sumatra Island and artifacts from Bali. The king-sized bed is canopied with a white mosquito net; a long writing table and a comfortable [reclining] sofa face a private garden; and heavy purple curtains with blackout lining provide complete darkness. The remote controlled air-conditioning can be individually adjusted to suit your own requirements. 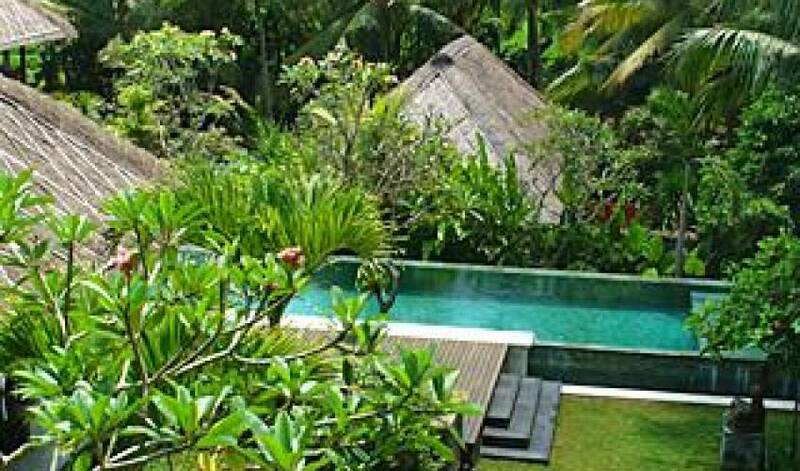 The outdoor ensuite bathroom, with a soaking bathtub built from green stone, huge rain-head shower and tropical plant-filled garden allows you complete privacy in the open area. 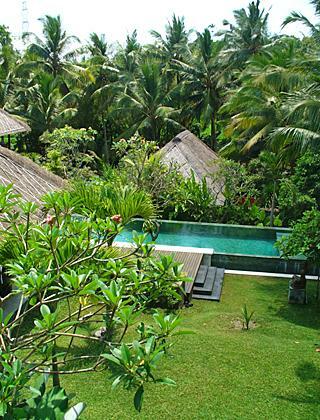 An antique Balinese door provides access from the bathroom to the private garden. 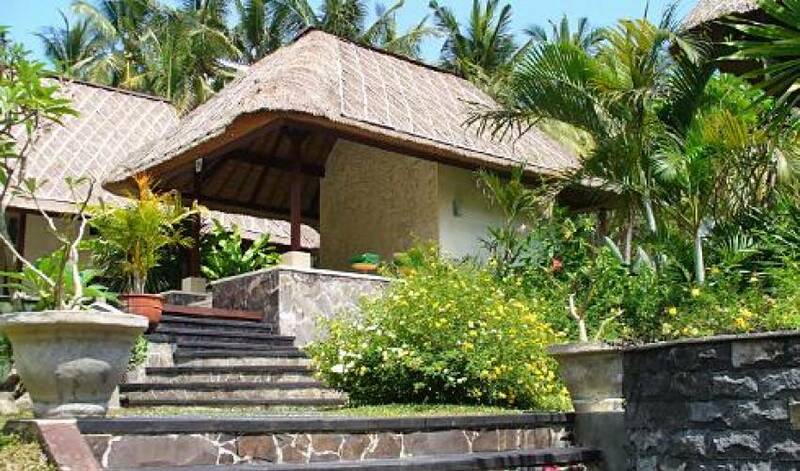 The upper floor bedroom was specially designed to enjoy the surrounding natural environment in its entirety. Sliding louvered glass window cover three of the bedroom’s walls, allowing a clean refreshing breeze to circulate through the room as well as providing breathtaking panoramic views of the garden, the terraces and the rice paddies, all of which can be enjoyed even from the bed itself. 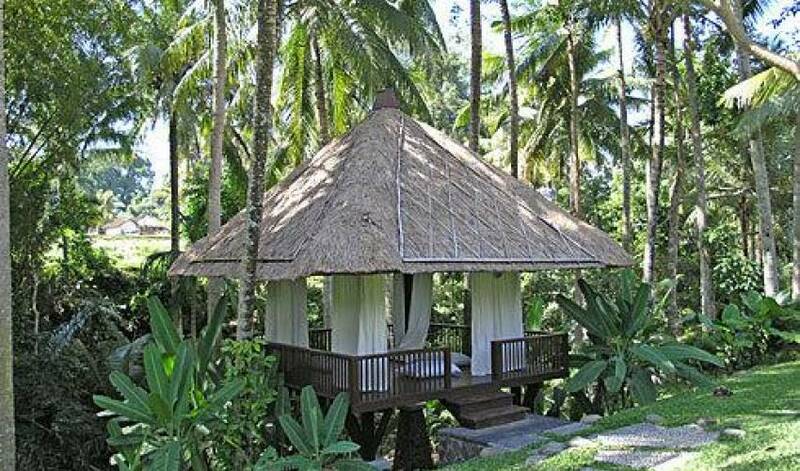 The furniture is in old teak wood with beautiful traditional carved panels from Madura Island used as a spacious wardrobe; the queen-size bed is surrounded by a white organza mosquito net the white bed linens and curtains add to the romantic and colonial flavour of the room. By design, this suite has a ceiling fan instead of air-conditioning, thereby allowing our guests to enjoy the pristine yet aromatic air. The bathroom has a ‘built-in’ soaking terrazzo bath tub, huge rain-head shower with pebbled flooring and overlooks the terraced rice field. 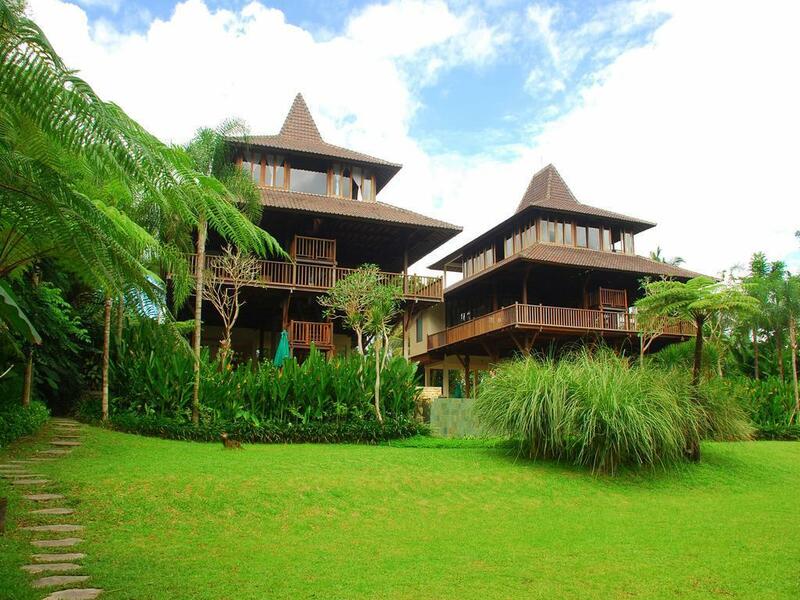 Villa 3152 provides a well-balanced blend of air-conditioned comfort and tropical open-air living. With seven pavilions established on 3200 sq meters of land, it comfortably accommodates up to ten guests who would still be able to lose sight of each other within the boundaries of privacy that the pavilions offer. 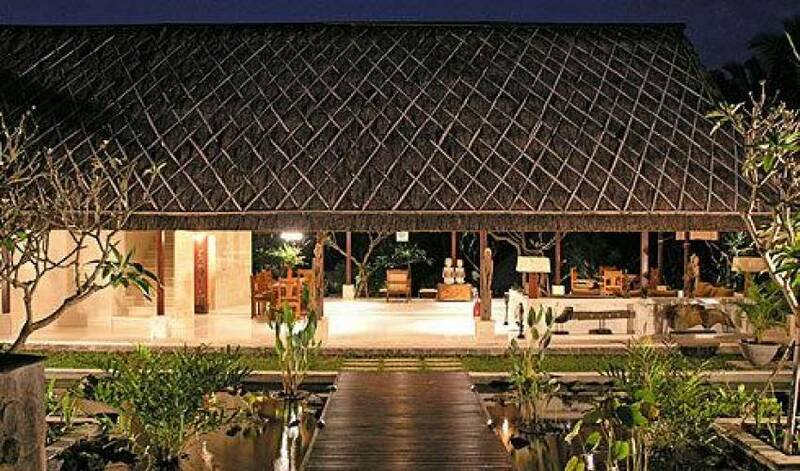 The focal point of the property is the open -air living and dining pavilion, which drops down onto the 20 by 4 meter lap swimming pool filled with salt treated water overlooking the rice paddies. 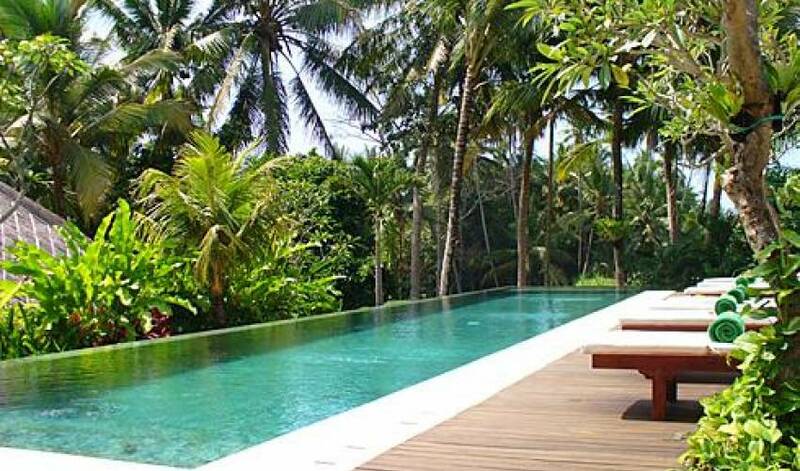 Complementing the infinity pool is a smaller pavilion with 'Hammam' (steam room) in green stone and large hot Jacuzzi in black ‘andesit’ stone. 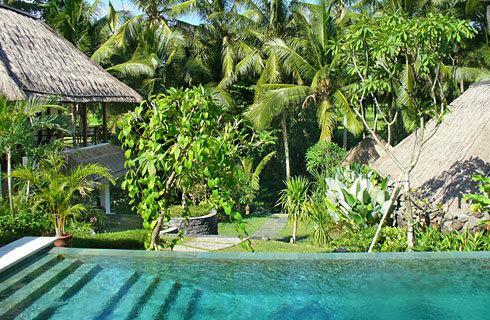 At the lowest reaches of this abode, overlooking more rice fields, a meditation Bale located over a quietly gurgling stream that marks the edge of the property will wait for you for a few moments of seclusion, meditation, relaxation with massage session or spa treatment. For those moments where you might like to remind yourself of ‘civilization’, there is a fully air-conditioned Media & Entertainment room with a spectacularly large screen – 67 inch satellite TV, home theatre with an extensive DVD collection of international movies and music. On the mezzanine level above the open-air living and dining pavilion, a desk provides a PC with internet connection and a printer for your convenience.